DILI (TIMOR LESTE):The government may soon issue restrictions on prescription and sale of commonly used antibiotics in an attempt to avoid development of drug resistance to infectious diseases like tuberculosis, malaria, urinary tract infection and even HIV. While WHO will assess implementation of the strategy at its ongoing South East Asia Regional Committee meeting in Timor Leste, India is so far ahead of the May 2017 deadline set up at the World Health Assembly meeting of WHO in Geneva in May, officials said. The resolution passed at the Assembly, which is the highest decision making body of the UN agency, asked countries to frame plans by May 2017 and align them with WHO's global strategy. 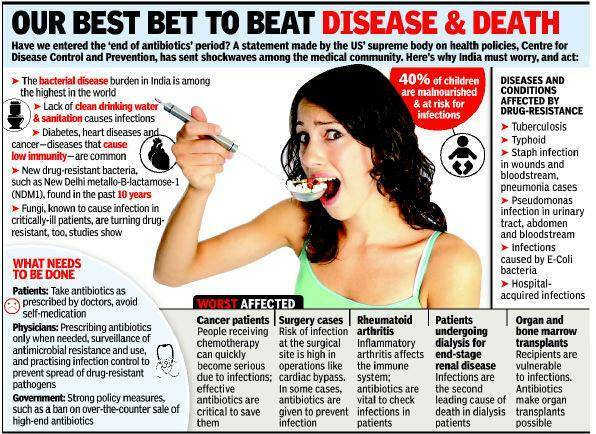 "India is ready with the standard treatment protocol," said Rajesh Bhatia, chief scientific advisor to the regional director, WHO SEARO. The health ministry, along with central drug regulator Drugs Controller General of India, has already framed standard treatment guidelines, which will be notified very soon, he said. 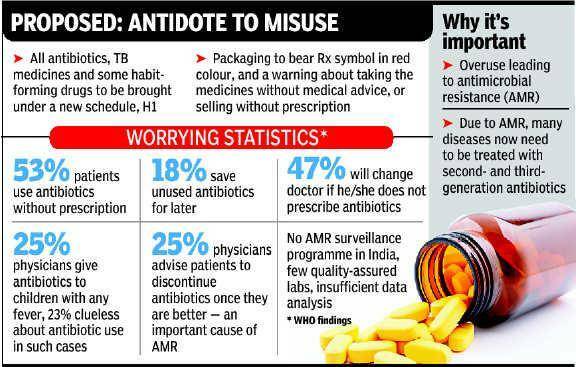 While all countries are struggling with the problem of rising drug resistance, India is primarily coping with antibiotics resistance which is posing an increasing threat to treating infectious diseases, as well as undermining many other advances in medicine. The plan also covers use of anti-microbial medicines in animal health and agriculture, apart from human health.